Our modern and fully equipped Wellness Center is designed to offer you the best in strength, cardio and fitness equipment. We have a large variety of free weights, strength machines, treadmills, stationary bikes, elliptical machines and other equipment. Call or stop by the front desk to schedule your fitness orientation with one of our trained and skilled wellness staff. A fitness assessment provides feedback to help plan your physical activity program and helps us understand the your current level of health. It establishes baseline measures to evaluate your progress and can help you to determine reasonable and attainable goals. It also provides education on flexibility, cardiovascular training, and strength training. This is a great starting point to keep track of your fitness improvements and help you identify what areas you should focus on in your workout routine. We’ll do body fat, body mass index, heart rate, blood pressure and cardiovascular and muscular testing. The fitness assessment is free for members and can be scheduled at our front desk. The first step in starting a new fitness program is setting appropriate and realistic goals. Schedule a 30 minute goal setting appointment with a member of the wellness staff. This will give you an opportunity to meet one-on-one with a fitness professional to help you establish individualized short-term and long-term goals before starting your fitness program. Make an appointment at the main service desk. Swim laps, take a class, or just splash around with the kids in our Aquatic Center. Lifeguards are on-duty during all hours the Center is available. The pool closes an hour before the building closes. 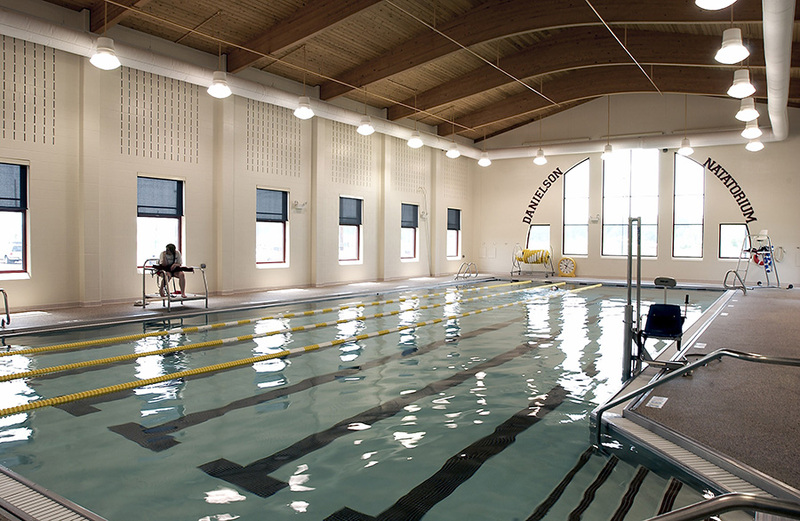 Pool space may be limited during swim lessons or water fitness classes. Unwind after your workout in the whirlpool, steam room or sauna. Please take note of all posted notices before using these facilities. A non-refundable deposit of $50.00 is required 2 weeks prior to your schedule rental date. A Liability Insurance Form is also required prior to renting. The balance and insurance form are both due no later than the day of rental and must be returned during regular business hours. Please also take moment to read over our rental policies for details about rules and guidelines. These rentals options can be rented immediately following normal closing hours. You may download the documents needed for rentals in the links below. These documents must be signed and on file for all rentals. Let the YMCA staff plan your party. We can provide the cake, punch, plates, and other necessities for you and 15 guests. Parties are for boys or girls at any age and may be reserved for Saturday or Sunday events. It's always a good idea to reserve early! Parties include cake, napkins, forks, plates, and juice. A minimum deposit of half the total payment is required to reserve the date at least 2 weeks in advance. The remaining balance must be paid a full day before the party unless other arrangements have been made with a Henry County YMCA Director staff member. Each group shall be responsible for the conduct of the group with a competent leader 21 years of age or over as the responsible person. Youth groups shall require adult supervision of 1 adult for each 10 youth. The YMCA reserves the right to have any of its staff attend any meeting held by non-YMCA groups. Any conduct detrimental to the purposes of the YMCA such as gambling, the use of alcoholic beverages, smoking, boxing, cage fighting, etc. is prohibited. The person(s) in charge and the group shall be responsible for all loss or damage to facilities or equipment caused by group. The YMCA assumes no responsibility for property brought into the building. Use of facilities does not imply endorsement or sponsorship of the event by the YMCA. Therefore publicity shall be designed in such a way that no suggestion of endorsement and/or sponsorship is implied. All such publicity shall be cleared in advance with the designated representative of the YMCA. Admission fees shall not be charged except with prior approval by the YMCA. Any and all decorations, posters, newsprint, etc. must have prior approval by the YMCA. The YMCA will not be held responsible for any injuries that may occur during the rental. Usage of any area that is not paid for in advance is prohibited. Any equipment that is needed for the night must be worked out in advance. All drinks and food must stay in multipurpose room unless arrangements are made in advance. A YMCA Building Supervisor will be on duty for each usage. The supervisor is there to help you but he/she is instructed to follow the rental agreement and uphold the building rules at all times. No extreme games will be allowed on YMCA property without prior approval from the YMCA Board of Directors. Maximum of 50 swimmers will be allowed in pool at one time during a rental. Schedule accordingly. Each person attending will be asked to sign an attendance form with their phone number. The YMCA shall have authority to cancel a rental at any time.